A number of organisations and individuals were among the recipients of the Australia Council’s latest grants round, which awarded $6.6 million to almost 200 projects. 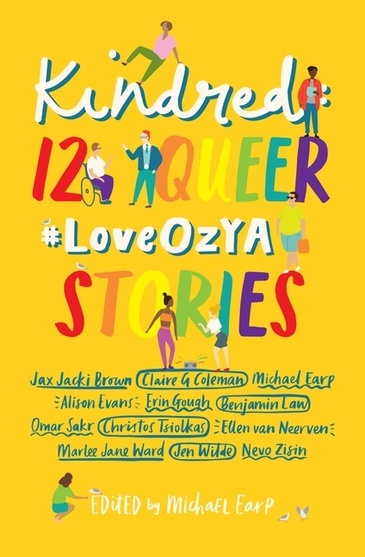 Michael Earp, editor of short story anthology Kindred: 12 Queer #LoveOzYA Stories (Walker Books), received $33,144 in funding, which will be used to take the anthology on a tour of literary festivals around Australia. The grant will ensure that the contributing authors of Kindred are able to reach as wide an audience as possible, says Earp. He hopes that a literary tour will raise the profile of the anthology and further the discussion of diverse cultural expression in Australia. ‘I’m incredibly excited by how this funding will allow us to reach more queer youth. Seeing yourself on the page, or at least someone like you, is a wonderful thing. I’m humbled to be a part of that,’ said Earp. In addition to previously announced recipients, the Australia Council also funded a range of writers and literary organisations. Konchi Sadami and Libby Hathorn ($49,120). See the other recipients and amounts funded in this round here.